If you’ve only ever seen one picture of Copenhagen, it’s likely that it was of Nyhavn. The buildings along this pretty canal are painted brightly in different colours and the restaurants here serve food and drink outside as well as inside. There’s no doubt that this street is a tourist hotspot, but for us this was also the heart of Copenhagen. When the weather is fine, there’s a lovely atmosphere and you can enjoy it just by walking along the cobbled walkway. We also enjoyed eating outside though and most of the restaurants offer heating lamps and blankets to make sure you don’t get too cold. Eating out in Denmark is fairly expensive, especially if you add alcohol to your meal so if you plan to eat on Nyhavn, look out for the set menu offers which can save a considerable amount. Many of the best offers on food are at lunchtime, but some are also available in the evening. Also, be careful not to confuse the lunch menus with the evening ones. The Danish word for lunch is Frokost. 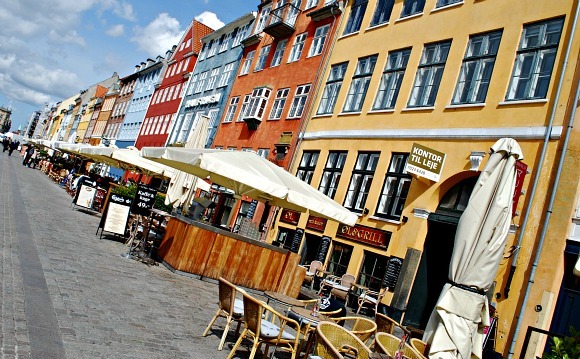 Another attraction in Nyhavn is the Amber Museum which displays many works made from Amber. Admission to this museum is free with the Copenhagen Card. 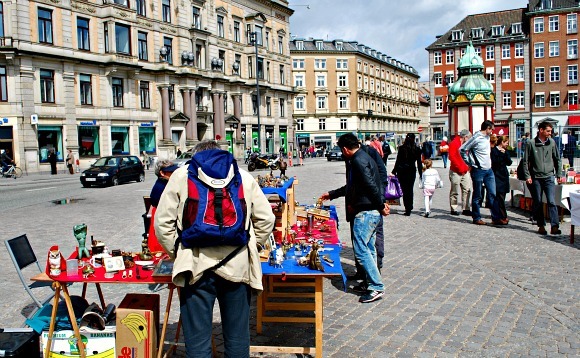 Nyhavn ends at Kongens Nytorv – an attractive large cobbled square where it’s common to find street markets and entertainers. Also here, there are a couple of buildings you should look out for. 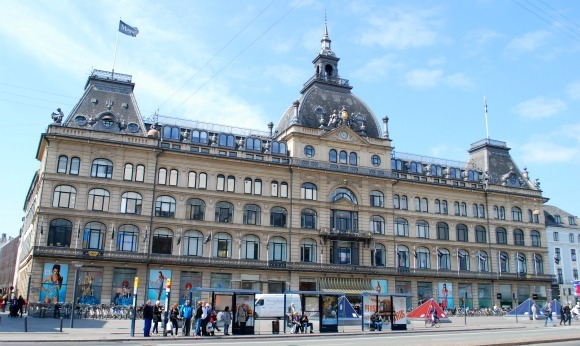 Firstly, the former Hotel du Nord which is now the Magasin department store (pictured above). As a hotel it was home to Copenhagen’s most famous resident Hans Christian Andersen – he rented two rooms in the attic. The other building of note is the beautiful Royal Theatre (Det Kongelige Teater) which was the building that first impressed Hans when he arrived in the city. Hans Christian Anderson also lived in Nyhavn at numbers 20, 67 and 18. 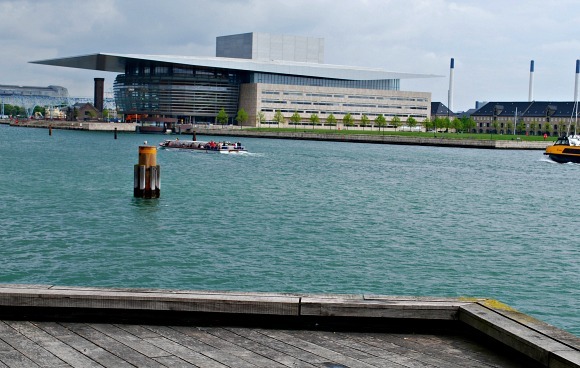 At the bottom of Nyhavn, where the canal enters the harbour you’ll find the Royal Danish Playhouse – a modern theatre with a terrific view out to the Opera House. Pop into the cafe for Copenhagen’s best hot chocolate! The water taxi to the Opera House also leaves from this point. Nyhavn is right at the heart of central Copenhagen and is based around the small canal which juts off the main harbour area and many bus routes stop here including the Hop-on, Hop-off Bus Tour. The harbour water taxi also has a stop.